Showtek are back with the release of two tracks off their new ‘Amen EP’ out now via Skink/Armada. 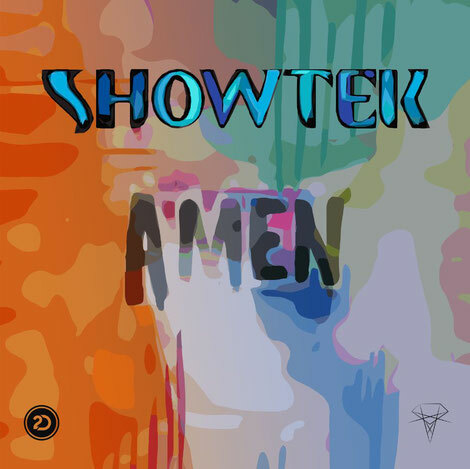 Included are the title track ‘Amen’ featuring Freetown Collective, whom Showtek worked with previously on the 2016 track ‘Believer’. Taking a stance with their music, the track is a Caribbean inspired track, while ‘Don’t Shoot’ is a more traditional Showtek release filled with heavy bass and drops. Written in conjunction with vocalist GC in the midst of the recent protests against police violence, both Showtek and GC have provided statements concerning the inspiration and reasoning behind their collaboration on ‘Don’t Shoot’. Wouter and Sjoerd Janssen, aka Showtek, are two brothers from Eindhoven and have been making music for over a decade. In 2012 they arrived onto the global dance scene with the release of ‘Cannonball’. Soon after came ‘Booyah’, a track encompassing Showtek’s true sound, achieving a top 5 spot in the UK singles chart and their first worldwide major hit. Other recent successes include ‘Bad’, a collaboration with David Guetta, which now has over one billion total combined views/streams online, and the 2016 collaboration with Major Lazer titled ‘Believer’, which has over 80 million total combined views/streams online.